I want a physical voucher sent to the shipping address. Can't decide what MooGoo to give as a gift? 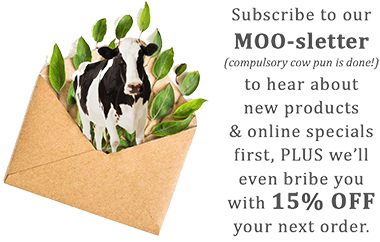 You know they'll love MooGoo, but maybe you don't want to be misunderstood when you gift them an Anti-Ageing Cream? Stay out of trouble and play it safe with MooGoo Money! Now that special someone can pick whatever their little heart desires. Something else that's pretty awesome? Our Gift Vouchers can be spent on both MooGoo AND Dusty Girls products to cover all their skin care and makeup needs. Now isn't that handy?! Please note: Orders using Gift Vouchers must check out on the website from which it was purchased.